Ryan began his financial services career in 2000 after earning his Bachelor of Science degree in Business Administration and Spanish from Aquinas College in Grand Rapids. Ryan has earned his Chartered Financial Consultant® and Chartered Advisor for Senior Living™ designations from the American College, and is a CERTIFIED FINANCIAL PLANNER™ professional. Ryan is a past member of the Aquinas College Alumni Board of Directors, past President for the Board of Directors of the National Association of Insurance and Financial Advisors - Grand Rapids Chapter, Membership Chair of the National Association of Insurance and Financial Advisors - Michigan Chapter, and serves on the Board of Directors of the Grand Rapids Lions Club. 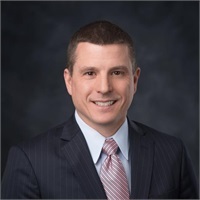 He is a member of the Economic Club of Grand Rapids, West Michigan Estate Planning Council, Financial Planning Association (FPA), and Grand Rapids Chamber of Commerce CEO Roundtable. He has been a recipient of the NAIFA Quality Award by demonstrating a commitment to exceptional professionalism, production, adherence to the NAIFA code of ethics, and service to the association. Ryan was also named one of the 40 Under Forty Business Leaders by the Grand Rapids Business Journal in 2011, 2012, and 2014 which recognizes 40 young business leaders and entrepreneurs based on business acumen, successes, and community involvement. Ryan works with his clients to help them create a financial plan and then implement strategies to pursue those financial goals. His clients include professionals, young families, retirees, business owners and their families. He also works with business owners in recruiting and retaining employees with retirement plan design, key employee benefits, and succession planning. Ryan lives in Rockford with his wife, Dawn, and his children, Abigail, Claire, Landon, and Carter. He is the director of the Youth Academy for the Soccer Club of Rockford and an active youth soccer coach with various clubs throughout the Grand Rapids area. He also volunteers his time teaching classes at the Inner City Christian Foundation.